It's the second day of 2012! How is everybody year so far? 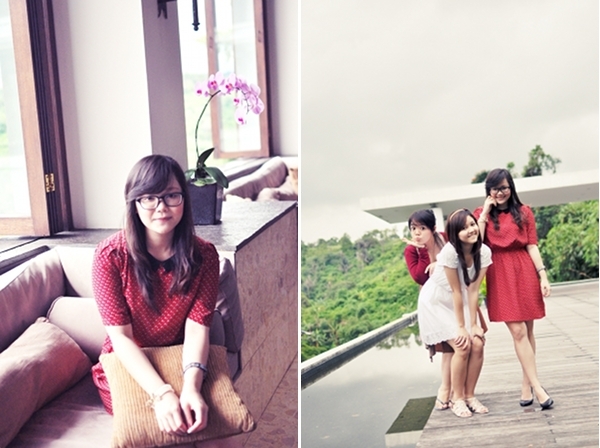 My friends and I went to Padma Hotel yesterday and it felt like sort of an adventure. The hotel is gorgeous with trees all around it and unlike any other hotel, the floor built going down. So when you press 7 on the elevator, it will take you 7 stories below. How cool is that? It's pretty cool, in my opinion. Sitting on chairs with a beautiful forest in front of us!! The beautiful lobby of Padma Hotel! 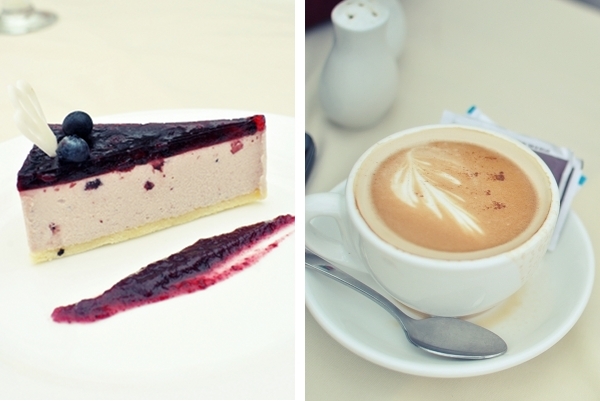 Blueberry cheesecake and hot cappuccino was my first breakfast for 2012! What's yours? wow cheesecake for breakfast! yummy! haha! and you look adorable. and lovely hotel :) wish i was on vacation somewhere! This outfit is just gorgeous on you. I love that dress and the pumps! Good luck with your works, Stevii, have a wonderful day! i want that blueberry cheesecake right now! looking lovely, stevia. i adore the horse detail on your dress, & your pretty bracelet. I really love ur dress dear..
i love everything in your post! and especially your dress , is so much sweet . Happy 2012! Beautiful pictures, beautiful dress ... and a lovely blog! such a cute dress..i love it! Looking great and fabulous! I really like how you combined all the pieces! cute dress! and the cake is really tempting :) makes me hungry. Happy new yyear dear! YOu just look so cute in this dress ! love the red on you ! What an adorable dress, I love the simplicity. The print is so cute too! What a great find and I think you paired it great with the plain black accessories. Love the cute dress :) And gorgeous pictures too! The hotel looks amazing! my goodness you get to travel to so many awesome places! thanks for answering my question about photo editing-I actually have GIMP on my computer but haven't used it yet! very adorable outfit as always-love the peter pan collar! happy new year too stevia ..
That little collar and the print is BEYOND!! So adorbs and super chic! Thanks for visiting my blog love, Happy New Year and hope to see you back soon!